So true, so true—at least we think. Yet in California, the Greens are testing Trump’s assertion that you can’t fool all the people all the time. In the Golden State, Green Democrats have sold the populace on farcical pursuits, even outright falsehoods, and yet they continue to win election after election, such that they have monopolistic, even dictatorial, control over the state’s economy and society. Indeed, even during the latest drought—which began in 2010, and has dragged on for six painful years—the Greens, as we shall see, have purposefully and systematically degraded the state’s standard of living and blighted the life-prospects of millions. And so far, at least, they have gotten away with it. Moreover, if the Golden State’s golden people are oblivious to the drought, others, too, are actually quite happy. These are, of course, the Greens, themselves top-heavy, too, with the wealthy. So can the Greens keep it up? Can they maintain their power over non-rich, non-Green Californians? Perhaps this year, with Trump at the top of the Republican ticket, the Green plutocrats will face a rendezvous with reality—more like a collision. Yes, perhaps this year, the 39 million Californians, who have suffered under Green hegemony for decades, will wake up. Perhaps this year, in the run-up to California’s June 7 primary, Trump will rouse Californians from their political slumber. Or perhaps not. We shall see. What we know, in the meantime, is that California’s economy has slowed and its population growth has plateaued; in 2010, for the first time in the state’s history, it failed to gain seats in the House of Representatives. And no wonder: California ranks 48th, out of the 50 states, in business climate, as judged by the non-partisan Tax Foundation. And whereas the state’s overall economic performance is nevertheless pulled upward by the staggering success of Silicon Valley, the state’s unemployment rate, 5.4 percent, is nearly half a point higher than the national average. And the state has suffered some stinging corporate defections in recent years, as companies such as Toyota, McKesson, and Jamba Juice have chosen to relocate their offices to Texas. California’s San Joaquin Valley, also known as the Central Valley, home to four million people, has been hit especially hard by what we might call, Applied Greenism: Fresno, a city of nearly half-a-million, is, by some measures, the poorest conurbation in the nation, and most of the rest of the Valley isn’t much better off. Far from the glamorous quartz enclaves along the Pacific, the middle of California is fast becoming a Third-World enclave. Yes, it’s hard to believe: California was once our richest state, and the Central Valley was once a rich area—the Fruitbasket of the World. Yet by now, the environmentalists have laid waste to the economy, stripping the American Dream from millions. In their defense, the Greens would insist that the immediate cause of the Central Valley’s agony is the drought. And yet it is in the state’s response to the drought that we see Green politics in all its destructive fury. The Greens have seized on the natural disaster as an opportunity to make their favorite ideological points about the need to de-industrialize America, including, of course, the obligatory incantation about “climate change.” As the Green Party of California says in its platform, “Cycles of intense drought and flooding demonstrated the need to reorient our priorities in order to achieve a truly sustainable water policy.” And then the plank goes on to cite “climate change” three times. Needless to say, the state government of California, which has been thoroughly penetrated by Green ideologues, is no help. For example, its Green governor, Jerry Brown, has created a state website, drought.ca.gov, dedicated to telling Californians that they must repent and embrace Green Virtue. Thus, just on its front page, the site mentions “conservation” 18 times. Needless to say, drought.ca.gov does not take note of government policies that have exacerbated the water shortage. For example, the saga of the smelt is not mentioned. The smelt? What’s that? The Delta smelt is a two-inch fish, native to California, that is valued more highly by the Greens than they value the people of California. To protect smelt from water pumps, government regulators have flushed 1.4 trillion gallons of water into the San Francisco Bay since 2008. That would have been enough to sustain 6.4 million Californians for six years. We can observe: 1.4 trillion gallons is a lot of water, and 6.4 million people is a lot of people—you know, people with hopes and dreams, as well as, in theory, inalienable rights. But, under Green guidance, the state has established its priorities: fish first, people last. And here’s the punchline to this cosmic joke: The latest known population of delta smelt is eight. Yes, you read that right, eight fish, although there could be as many as 88. Obviously the Delta smelt, which is one of at least five species within the Hypomesus genus (all of which look the same, by the way) is having a hard time. And so without a doubt, the smelt would be better off in an aquarium, or aquatic preserve, where it could be safe from predators, mostly larger fish, such as the Sacramento pikeminnow. Thus we can calculate a solution that would be acceptable to every non-Green: If each of those 6.4 million Californians who could make a living—most obviously, as small farmers—from that 1.4 trillion gallons of water were each to donate a dollar to the cause of the smelt, the little fish could have a better life behind glass, and millions of Californians could have a better life in the real world. But we might ask: Is there anything that can be done about the drought, beyond such obvious expedients as not throwing away 1.4 trillion gallons of fresh water? And the answer is, in fact, yes. For starters, we can do a better job of catching and containing fresh water, so that we have it when we need it. And here, once again, the Greens have been the enemy of prosperity. The population of the state has doubled in last 40 years, and yet during that period, water-infrastructure construction has been negligible. After the initial phases of the federal Central Valley Project and state California Water Project were largely finished . . . environmentalists in the last 40 years canceled most of the major second- and third-stage storage projects. To take a few examples, they stopped the raising of Shasta Dam, the construction of the Peripheral Canal, and gargantuan projects such as the Ah Pah and Dos Rios reservoirs. Of course, the Greens want to do still more—more damage, that is. Even as the drought worsens, the usual-suspect liberals, including the actor Harrison Ford, actually want to drain Hetch Hetchy reservoir, which provides water for the San Francisco Bay Area. Hetch Hetchy, we might note, was created by a dam back in 1923, in the era before the Greens took over. Even today, Hetch Hetchy is such a vital source of water that the idea of tearing it down was too much even for the voters of San Francisco; in 2012, a full 77 percent of them voted against tear-down. So, thwarted by public opinion, the Greens will have to do what they always do when they lose at the ballot box—they will seek to sneak their way through the bureaucracy and the courts to achieve their ends. Meanwhile, we can marvel: It wasn’t that long ago that both major political parties were enthusiastic proponents of water-infrastructure. In 1928, Calvin Coolidge, not generally known as an activist president, was an ardent champion of the dam on the Colorado River that today still ranks as one of the great engineering marvels of the world; it is known as Hoover Dam, after another Republican presidential champion. Eight decades after its completion, Hoover Dam continues to pay huge dividends; it provides the Southwest with more than four terawatts of electricity (a terawatt is a trillion watts) a year, and, its Lake Mead provides millions of Americans with marvelous recreational opportunities. Interestingly, up until the 1970s, when they went Green, the Democrats were probably even greater champions of economic development through what was then called “reclamation”—as in, reclaiming economic value from arid wastelands. We pledge the continued full and unified regional development of the water, mineral, and other natural resources of the nation, recognizing that the progress already achieved under the initiative of the Democratic Party in the arid and semi-arid states of the West, as well as in the Tennessee Valley, is only an indication of still greater results which can be accomplished. Our natural resources are the heritage of all our people and must not be permitted to become the private preserves of monopoly. The irrigation of arid land, the establishment of new, independent, competitive business and the stimulation of new industrial opportunities for all of our people depends upon the development and transmission of electric energy in accordance with the program and the projects so successfully launched under Democratic auspices during the past sixteen years. We favor acceleration of the Federal Reclamation Program, the maximum beneficial use of water in the several states for irrigation and domestic supply. In this connection, we propose the establishment and maintenance of new family-size farms for veterans and others seeking settlement opportunities, the development of hydroelectric power and its widespread distribution over publicly owned transmission lines to assure benefits to the water users in financing irrigation projects, and to the power users for domestic and industrial purposes, with preference to public agencies and R.E.A. co-operatives. 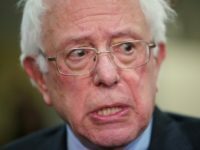 Looking back at that 68-year-old document, it seems fair to say that not only would today’s Democrats not endorse such an agenda from their president, but they would probably seek to impeach him for such pro-growth efforts. So yes, there’s much to be done, in terms of water infrastructure, even if it comes at the expense of the desert tortoise and the Coachella Valley fringe-toed lizard—both of which would do perfectly well in zoos. Yet there’s still the basic question of supply: Is there anything else we can do to increase the amount of water in California? And the answer, of course, is yes. We could, if we wanted to, desalinate sea water. Meanwhile, California’s water consumption, even today, is about 1.4 trillion gallons a year; that sounds like a big number, but, in fact, California’s annual consumption is nothing next to the deep blue sea; its annual use is one-billionth of the volume of the Pacific. To put the matter another way, if California were to get all its water from the Pacific, and put nothing back, the ocean would be dry—in a billion years,. We can add, unnecessarily, that a billion years would allow for plenty of time to develop the tweaks to the desalination solution. Yes, a million millennia would be more than enough time to solve the “threat” to the mighty Pacific—although, of course, the Greens, perpetually eager to trumpet their doomsday narrative, would wish to hit the panic button immediately. Moreover, the world is blessed with five oceans; we’ll come to that later. Meanwhile, it is curious that desalination receives almost no attention from the elites. And that just goes to show how thoroughly the Greens have come to control the commanding heights our society; as a result, even as we celebrate the latest app or other hand-held gizmo, the basics of technology, as expressed in large-scale infrastructure, are completely neglected by the Establishment. As a result, in this clueless intellectual vacuum, the Greens have gotten their way—and thus desalination has disappeared from the national conversation; if “desal” means more for people, well, the Greens don’t want it—they want less. Indeed, Green thinking is so pronounced among the elite that it has even reached places that are typically seen as merely liberal, as opposed to actively Green. A case in point is The Washington Post. In its May 10 editorial, “The growing stress on the world’s water,” the Post amply illustrated the high degree of Green-filtration that has taken place into the MSM. The editorial begins with a warning, about—what else?— “climate change,” and then cites a World Bank report which worries that, by 2030, “the world may face a shortfall in water availability of approximately 2,700 billion cubic meters.” So what to do? The first order of business is to limit the amount of warming humans will induce. That means slashing the greenhouse gas emissions responsible for driving up global temperatures. The world has started down this path, but the effectiveness of the global climate effort likely depends, in the first instance, on the results of this year’s presidential election. You caught that at the end, right? We’ll get nowhere, the Post insists, in the climate-change crusade if Trump is elected—that’s the real point of the editorial. To be sure, Trump isn’t mentioned in this particular screed, but the Post’s hatred for Trump is manifest; in both endless editorials and op-eds, the paper has been denouncing Trump, in the most fevered terms, just about every day. So, of course, the editorial doesn’t even mention the idea of desalination. Nope, there’s no mention of the “d”-word. We’ll come back to that in a bit. But first, let’s take a closer look at that number the Post cited, the shortfall of 2.7 trillion cubic meters. That sure sounds like a big number, but let’s put it in perspective: the Grand Canyon is about 4.1 trillion cubic meters. So yes, 2.7 trillion is big, but the world is a lot bigger. So we might step back and ask: Are we really supposed to think that we have to shut down the planet’s entire hydrocarbon economy to fix an alleged problem, “climate change,” that can, in the worst possible scenario, cause a water problem that could be easily be contained within the Grand Canyon? Moreover, the oceans are vastly greater than the Grand Canyon, or all our water needs. Yes, all the oceans of the world contain between 1.3 and 1.5 quintillion cubic meters. A quintillion, in case you forgot, is a million billion. So if we do the math, we can see that 2.7 trillion cubic meters of projected water shortfall amounts to only 0.0000018 of the total of the world’s ocean water. Or, if fractions are more your thing, that’s about 9/5,000,000. Which is to say, all the thirst and water-needs of humanity are but the tiniest drop in the ocean. Of course, sea water is salty, and thus useless for most human purposes. And so we come back to the desalination solution, although, as we have seen, Green leftists don’t want us to. They don’t want to solve the problem, they much prefer their narrative of ecological doom, followed, of course, by political power—for them. Yet some will ask: Is it feasible to desalinate sea water, if we wanted to? And the answer to that question is an emphatic yes. The basic technological hurdles were solved long ago; ships’ crews, for example, have been desalinating sea water for centuries. Yes, desalination is still expensive, but the price is falling fast. As MIT’s Technology Review noted in 2015, the Israelis have advanced a reverse-osmosis desalination technology that radically reduces costs. And who doubts that with proper encouragement, and eager scaling up, desalination could, with near-Moore’s Law-like speed, be made cheaper, cheaper—and cheaper still? So it’s unfortunate that the Post doesn’t take any of this scientific potential into account. And it’s also a bit ironic, since the Post is owned by Jeff Bezos, one of the great technology wizards of our age. Bezos, of course, is the founder of amazon.com, which stands for nothing if not technological transformation. Indeed, for Bezos, technology isn’t just a way to make a buck, it’s also a vision. Back in 2000, he started a space exploration company called Blue Origin, one of several such companies started by the new generation of tech billionaires. Among other ambitions, Blue Origin hopes to send spacecraft out to go mining on asteroids. In other words, if Bezos has the grand goal of space-mining, then the idea of desalinating water, even on a massive scale, must strike him as child’s play. So, we might ask: Why hasn’t he shared that expansive techno-vision with his Luddite hirelings at the Post? Yes, that is a good question. Still, there’s hope, even back in Greened California. Tom Del Beccaro, a former GOP state party chair now running for the US Senate, cites the need for a comprehensive “all of the above” approach to water issues, including desalination. And other Republican senatorial hopefuls, too, have cited desalination—although not all. In fact, even some Democrats, such as state attorney general Kamala Harris, also running for the Senate, have allowed for a grudging mention of desalination. Of course, it’s hard to believe that a California Democrat actually means it. 4. A New Homestead Act? So it will take more leadership—stronger leadership—to cut through the Green Gordian Knot. Perhaps, like Alexander the Great more than two thousand years ago, Trump can wield that mighty sword. Trump could hold a rally in Fresno, the state’s fifth-largest city and his likeliest local repository of support. But he could also use a road trip through the drought-stricken region to highlight the failures of federal water policy, which prefers fish to farmers. The golden age of the Central Valley hearkens back to the mid-twentieth century, when the state invested in infrastructure to capture rainfall and snowmelt, making the desert bloom. And so, making the desert bloom would do the trick. 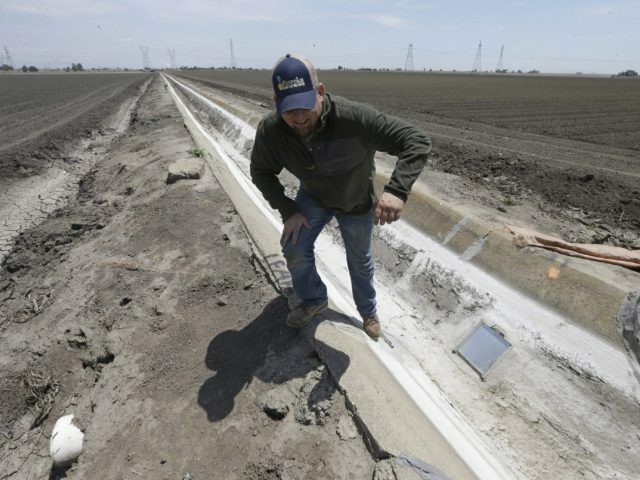 And with the addition of a strong desalination pitch, connected to a new Homestead Act for small farms on dry federal lands—lands that would be viable with new water—Trump would sweep not only the Central Valley, but also the entire West. Yes, a Second Homestead Act, enabling small farmers to work free land (with the added fillip of new water) could make the Southwest as solidly Republican as the Midwest was after the original 1862 Homestead Act. As we can see, more water for working people is a plan for victory, as well as country-changing greatness. And for those who are keeping track of such things, we might add: California has 55 electoral votes, Arizona has 11, New Mexico has five, Nevada has six, Utah has six, and Colorado has nine. That’s 92 electoral votes in all—more than a third of what’s needed to win the White House. Part One of this series. Part Two of this series.